At Brodie Tree Service we allow our trees to grow to a good size so you can enjoy a mature tree sooner. Here is how we price a tree. 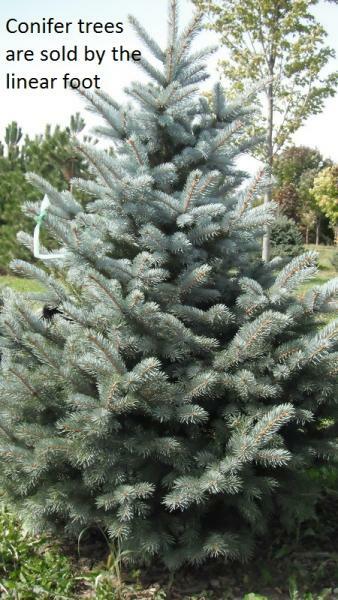 For a coniferous tree, it is priced by the linear foot. 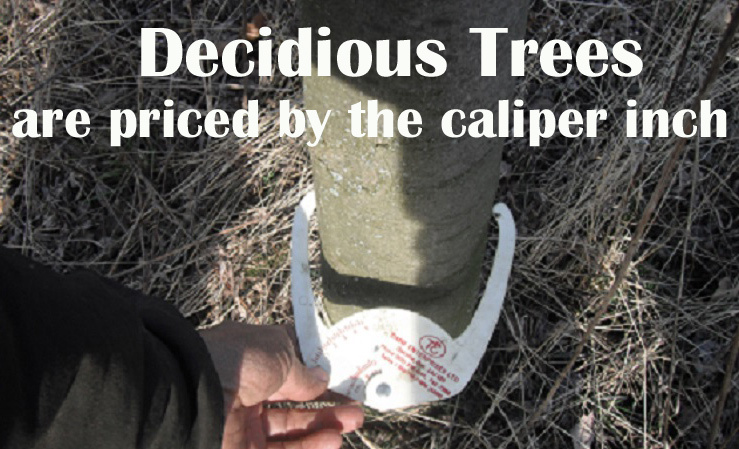 Deciduous trees are priced by the caliper inch.